Doing some warm ups first will make handwriting easier and more fun! 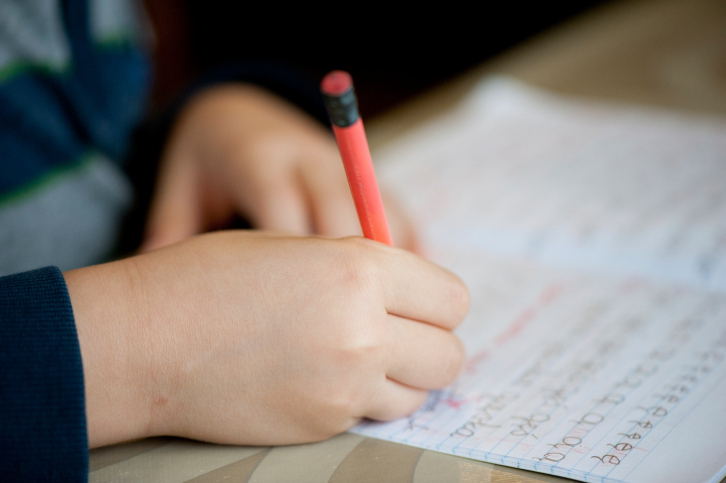 Many kids feel overwhelmed when it comes to handwriting. Some kids just get bored of handwriting easily. Others have difficulty with fine motor skills. Doing some fun warm ups are a great way to get your kids physically and mentally prepared. It’s best to start with the large muscles first, working your way down to the smaller muscles. These large muscles are further away from the muscles you really want to focus on. These muscles are called distal muscles. Chair Push-ups. Sit in a chair with your arms by your sides and your hands flat against the armrests. Push yourself up with your hands so that your feet come off the ground, then return back to a neutral position. Shoulder Shrugs. Push your shoulders up towards your ears, then down again. Do for a few repetitions. Next, push your shoulders as far front as you can, then as far back as you can. This releases tension in the shoulders. Crocodile Snaps. Extend your arms in front of you, with one above the other. Then, move them together and apart, like a crocodile snapping its jaws. After the shoulders and neck are relaxed, it’s time to move on to finger exercises! These exercises work the proximal muscles, or the muscles that you want to put a large focus on. Finger Push-ups. Place your hands together. Keep your fingers straight and press your fingertips against each other. Play the Piano. Press your fingertips against a tabletop as if you are playing piano. You can play fast, slow, or try doing both hands at the same time. Inchworm. Grasp your pencil with your writing hand. Move your fingers along the pencil in inchworm motions, starting at the bottom, working your way to the top, then back to the bottom again. These tasks should only take around 5-10 minutes. Afterwards, your child’s muscles will be exercised and they will be all ready to start writing! These exercises are a great way to get your child excited about writing, as well as offer a great family bonding opportunity. This entry was posted on Friday, January 29th, 2016	at 11:52 am	. You can follow any responses to this entry through the RSS 2.0 feed. Both comments and pings are currently closed.